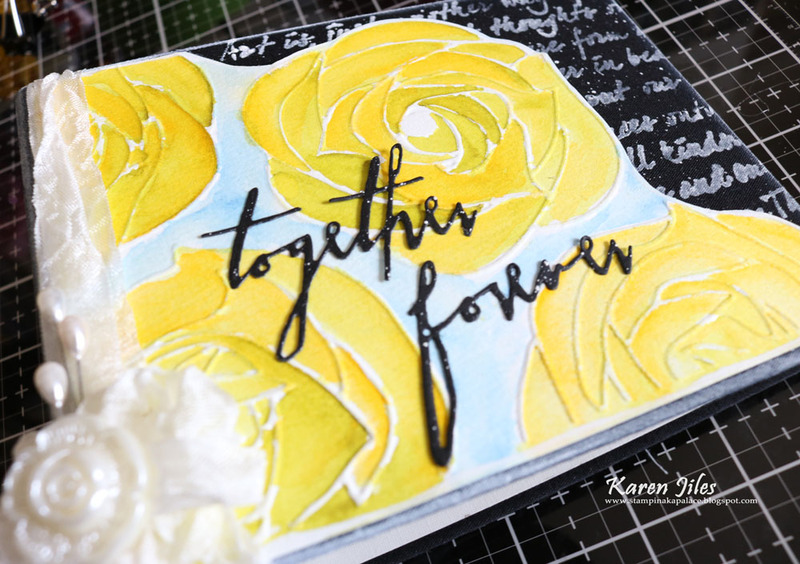 It’s Karen, sharing this little Painted Bella Rose Album Cover created with the Bella Rose Embossing Folder and the Cut N Boss machine. 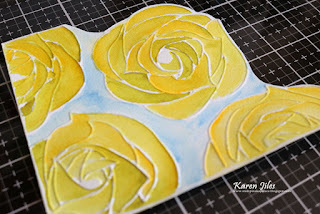 I absolutely loved this project. 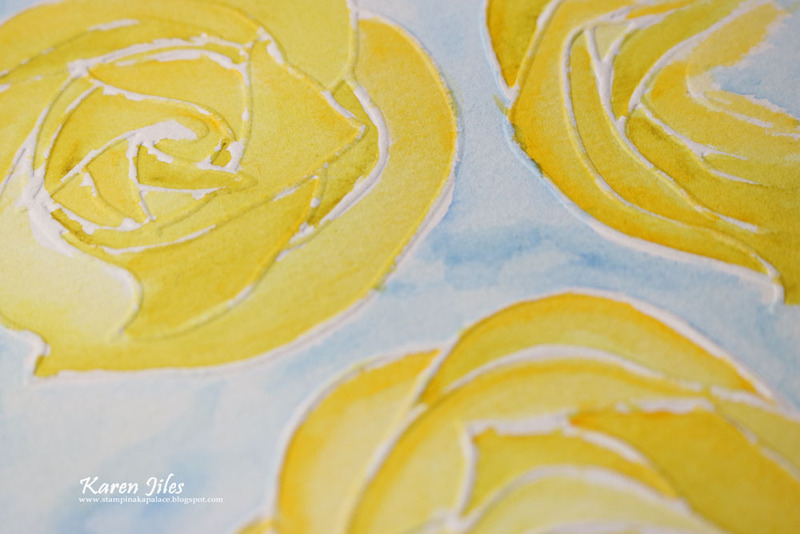 Coloring is always therapeutic for me, so when I began this project, I knew that I wanted to dry emboss a full sheet of watercolor paper to work with. 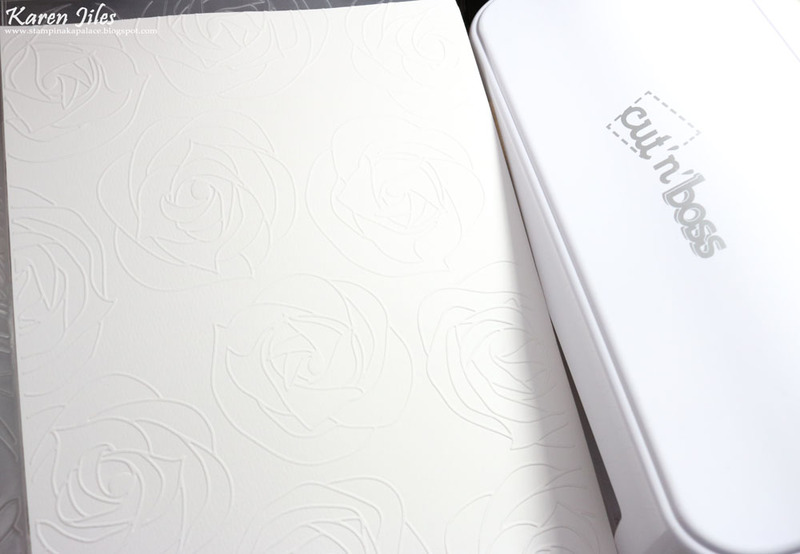 I chose the “Bella Rose” embossing folder because of the full flowers in the pattern. 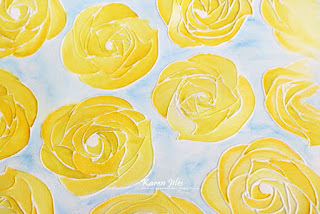 The full flowers are very forgiving when they are painted, and the size of each rose is simply fun. I really loved the end result. 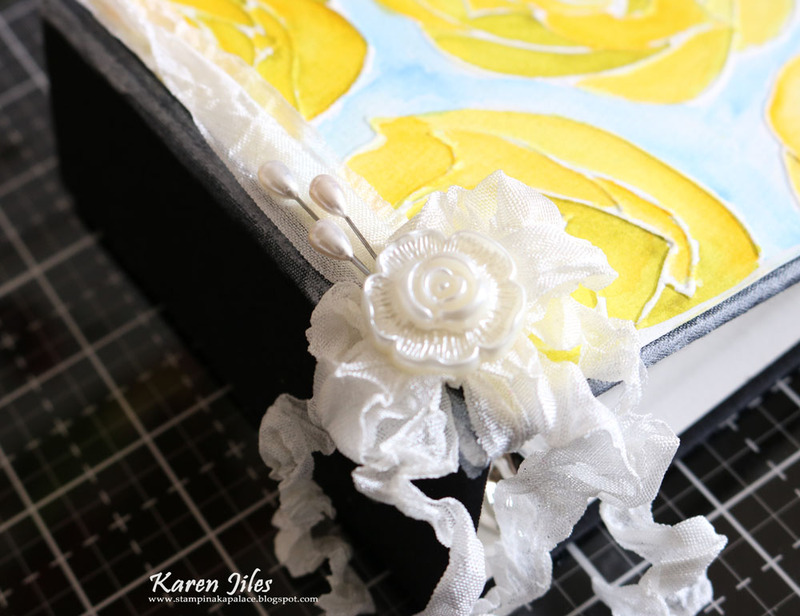 I added some crinkled ribbon, scripted words, pearl pins, rose button and gesso. The Painted Bella Rose Album Cover measures 5 ¼ x 6 ½. 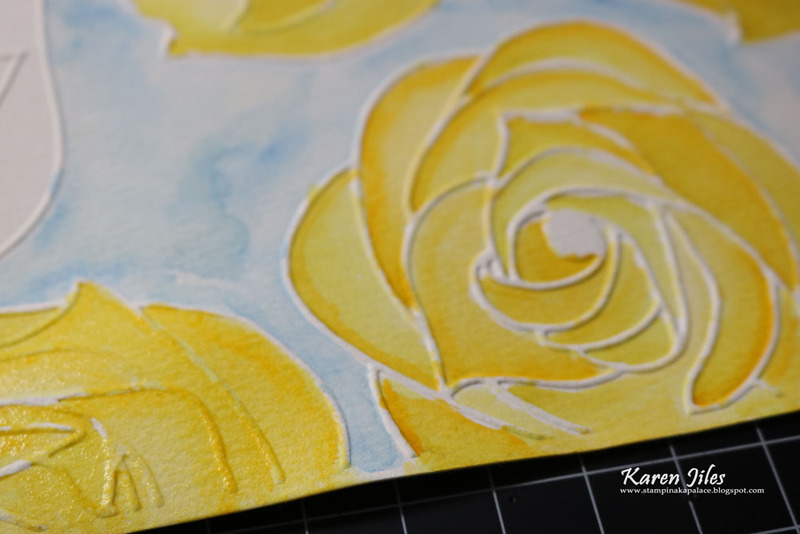 Take a peek at my tutorial below. 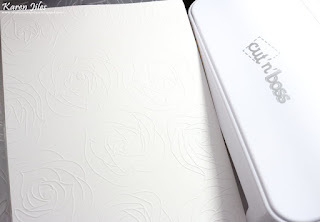 Step 1: Emboss full sheet of watercolor paper using the “Bella Rose” embossing folder and Cut N Boss machine. 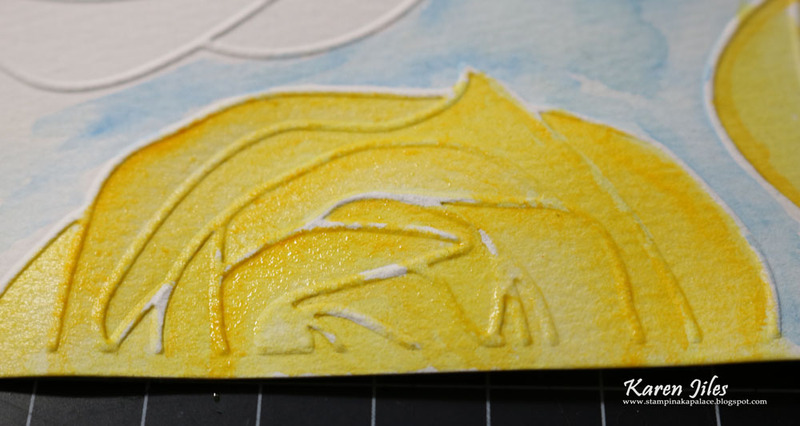 Step 2: Remove the embossed watercolor paper from the Cut N Boss and the embossing folder. 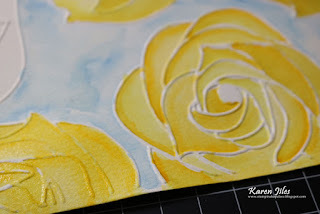 Step 3: Using an Aqua Painter, paint the embossed roses with choice of watercolor ink colors. 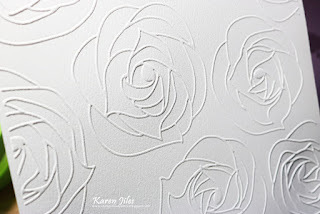 Step 4: Using scissors, cut a section of the painted embossed roses out and add gesso to edges. Set aside. 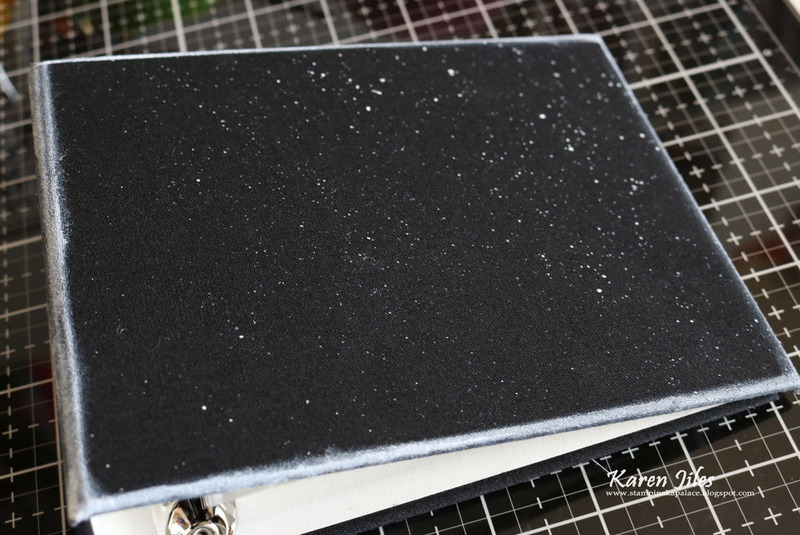 Step 5: Apply gesso to edges of black album and tap gesso over journal album with a paintbrush. 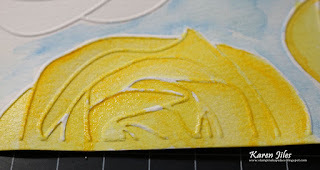 Step 6: Transfer scripted pattern to gessoed album cover using gesso and stencil. Let dry. 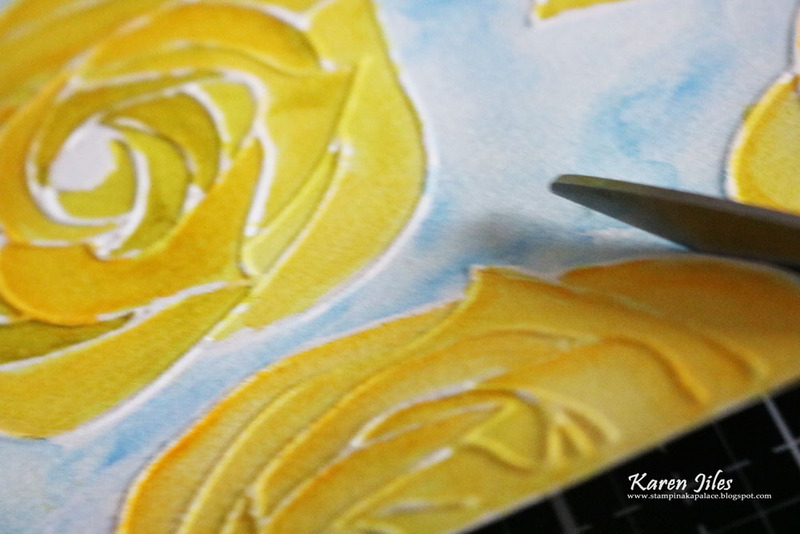 Step 7: Adhere painted watercolor paper to album cover and add ribbon to spine. 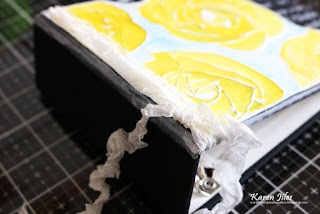 Step 8: Add ribbon bow, rose button and pearl pins to album cover. 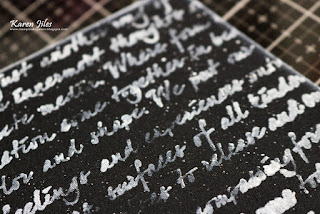 Step 9: Adhere scripted words to album cover. 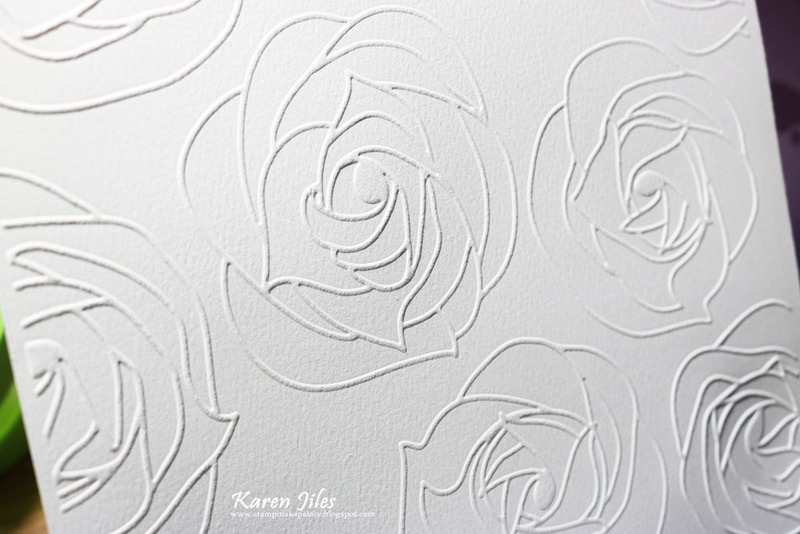 Continue embellishing as desired. 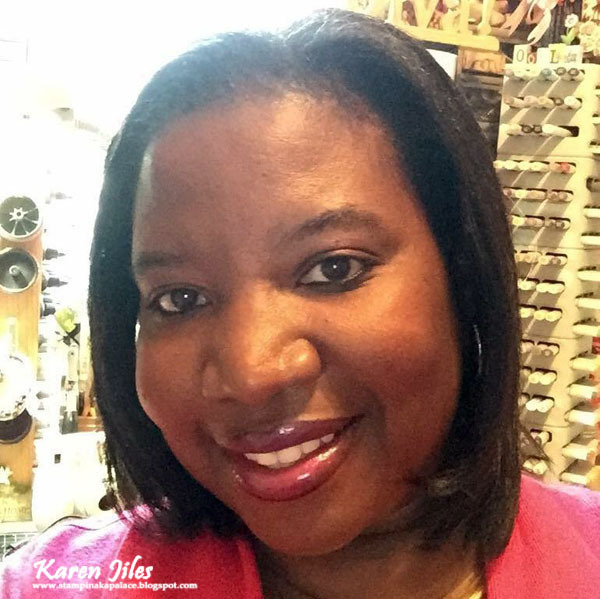 Thanks so much for stopping by today. 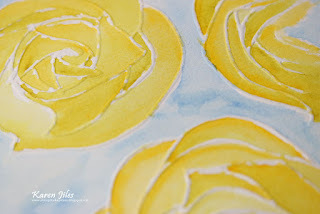 I hope that this Painted Bella Rose Album Cover has inspired you to paint your embossed roses and incorporate them into your projects. 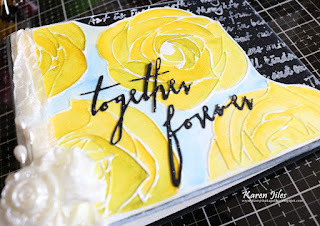 This is gorgeous as always!